0 assists to help the Houston Rockets rout the Utah Jazz 122-90 on Sunday night in Game 1 of a best-of-five first-round playoff series. The Rockets held the Jazz to 39 percent shooting from the floor (7-of-27 from 3-point range) and forced 18 turnovers in the rout. 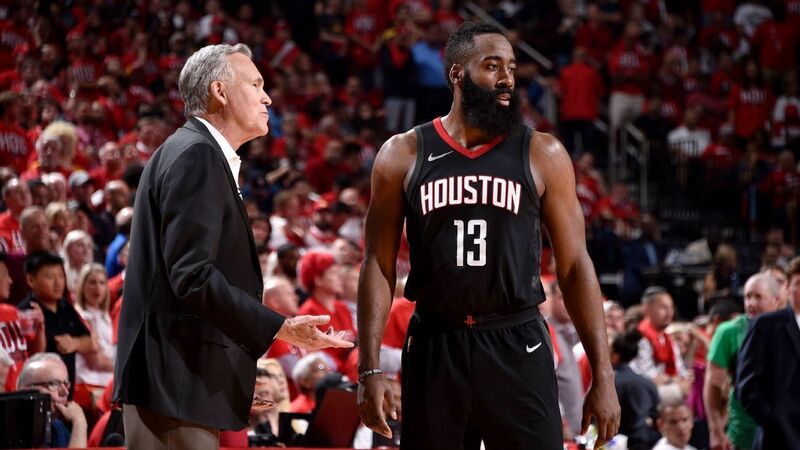 It was the kind of dominant defensive performance that gave the Rockets, a historically elite offensive team, confidence that they are legitimate title contenders. "It does not surprise me that we can defend," said Rockets coach Mike D'Antoni. . "At all." "That's what we have to do, "said Rockets superstar James Harden, who had game highs of 29 points and 10 assists. "We have to disrupt their routes and their plays and things they like to do and make sure they are not comfortable. Defensively, we've been locked in these last couple of months. " "That's something that we always emphasize," said forward PJ Tucker, the Rockets' best defender. "When we're aggressive as a team, our defense goes to another level. We're being physically on box-offs, on all the switches, and we're being aggressive and getting up into people, making them drive. do that, it puts pressure on the offense to try to make the right plays. " "It's one game, and you have to learn from it, but I can 't have no assists and five turnovers, "Mitchell said. "I do not care how many minutes you play or whatever. If you get five turnovers, you have to look at yourself in the mirror and figure out how to adjust."